Families in Idlib and Aleppo provinces in Syria have had to flee their home, often multiple times looking for safety from government forces and airstrikes. Now, at least three million people are internally displaced in northern Syria. Multiple families must shelter together in tents designed for one. There are no resources, no jobs­—nothing. Winter will soon hit this part of the world with harsh cold winds, snow and driving rain that creates mud impossible to walk in. The only way these families can keep their children and elders alive through the freezing nights is with a ventilated stove and fuel that is safe to burn and doesn’t create toxic fumes. With the help of our donors and the United Nations, we are bringing cast iron ventilated stoves with all the necessary accessories to operate them safely. We are giving thousands of families three months of Prina, an eco-friendly fuel. The bio-mass fuel is made from recycled olive oil production waste; pits and skins that would normally end up in a landfill are manufactured into a fuel brick that burns slowly at an efficiently high temperature. 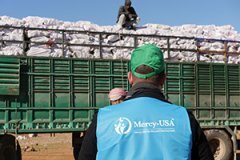 This project will be life saving for thousands enduring harsh winters in Syria. Your gift of $85 will provide one cast iron heating stove with all needed accessories. Your gift of $165 will provide three months of eco-friendly fuel to last the winter. Your gift of $250 will provide one cast iron heating stove with all needed accessories plus three months of fuel to last the winter. Your gift of $110 will feed a family of six for one month. 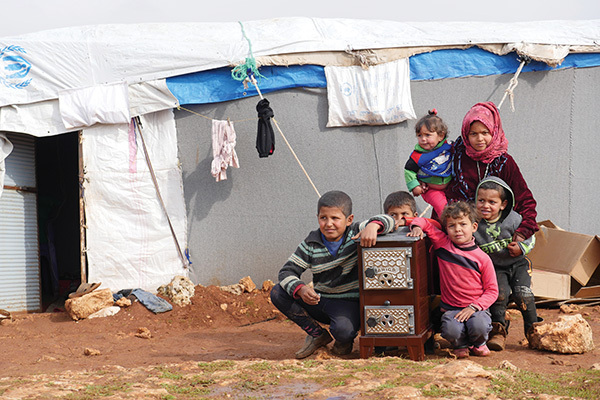 Please donate today to keep a family in Syria alive and warm this winter.